Someone you know will sing a happy tune when they receive cheerful greetings jotted on these gently punny correspondence cards. The front of each flat 3½"x5¼" card declares "just a note" and features writing space delineated by three staves (the five-line template used by composers), while the back side of the card is decorated with a musical score. 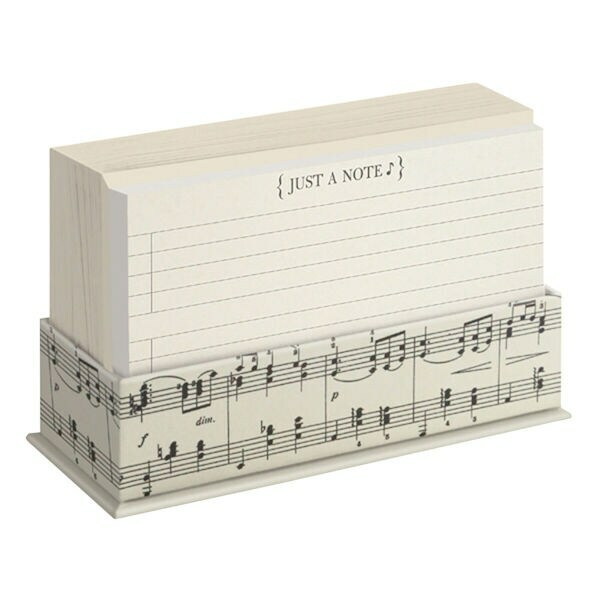 It's a pitch-perfect gift for the musician or music-lover who brings harmony to your life! Set includes fifty flat cards with coordinating envelopes, stored in a handy cardboard desktop holder.